A new 309 KWp PV system was commissioned in May 2013. This array of panels produces over 500 MWh a year, equivalent to the electrical energy needed to power a hundred domestic houses. So far, this measure has avoided the production of 853 tons of CO2 gas being discharged into our atmosphere. In 2013 a new water treatment plant comprising four reverse osmosis plants was commissioned to meet product water volume and quality requirements. The new plant performance was carefully monitored during the following year, achieving a resultant overall recovery of approximately 95% of incoming water supply, considerably improving on the previous plant's 74% recovery rate. The improvements in efficiency were achieved by collecting reject water (brine) from first pass and second pass reverse osmosis plants and pumping this through a brackish water reverse osmosis plant to generate washing water. Energy consumption was also reduced with the installation of the new plant as the pumping process is performed under variable frequency drive control. The production of beverages (mostly beer) requires a high capacity of both heat energy and refrigeration. 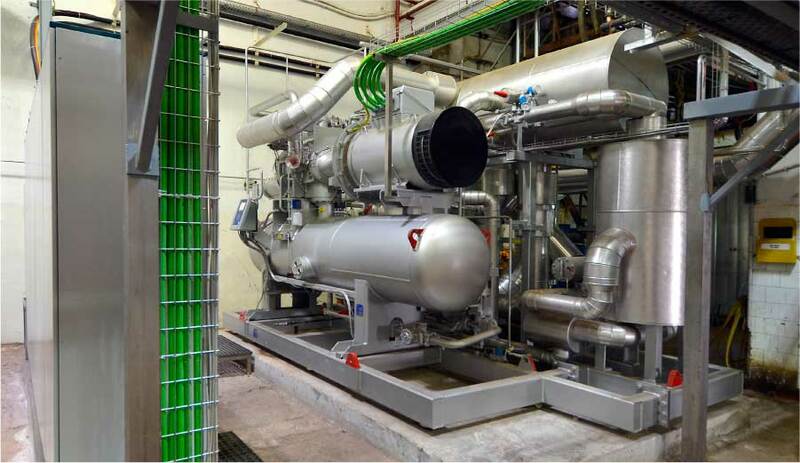 In 2013, a new, state-of-the-art chiller was installed with a 1,000 KW refrigeration power rating. This plant makes use of variable frequency drives to ensure maximum possible efficiency during all conditions of operation. This investment contributed to a further significant 50% reduction in electrical energy usage in the engine room. The Brewing process uses malt in large quantities as the major raw material apart from treated water. After the mashing process, during which enzymes convert starch and proteins present in the malt into extract, the wort (extract)produced is separated from the spent grains in the brewhouse by means of a lauter tun. The spent grains are recovered in a stainless steel silo which is cleaned regularly and consist essentially of the remaining malt husks which contribute only marginally to form wort. Spent grains contain cellulose and a small quantity of nitrogen which ruminants, with their four stomachs and bacterial flora can convert into protein. The recovery and sale of spent grains by Farsons brewery not only ensures that nothing is wasted from the imported agricultural produce but also serves to support the local dairy industry in remaining a competitive producer of fresh dairy products. The liquid extract produced in the brewing process, known as wort, serves as the substrate which brewers’ yeast ferments to brew beer. The fermentation process takes about 4 days. During this period, yeast is not only actively fermenting sugars present in the wort, but is also reproducing, often doubling in numbers every 20 minutes. Many yeast strains are known to brewers, but each brewery may have one or more yeast types which give the resultant fermented beer its characteristic flavour profile. Whilst brewers safeguard a reserved quantity of fresh yeast for their brewing, the excess yeast so produced is normally sold to specialised food industries or disposed of. 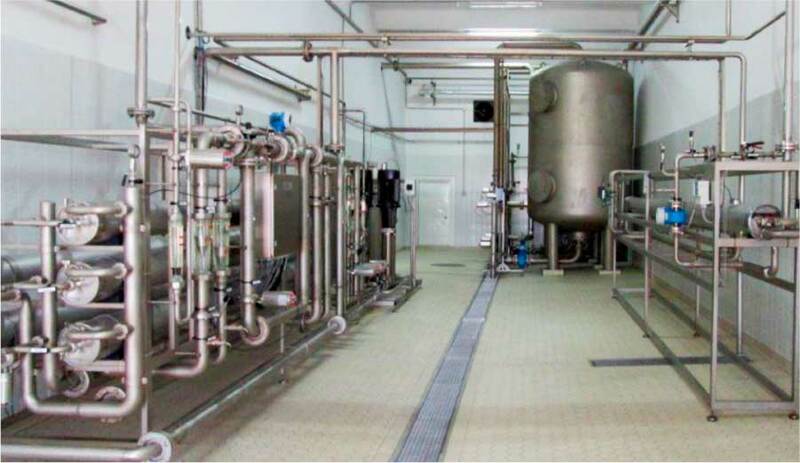 Since excess yeast production in Malta is on a small scale and cannot support a specialised food industry, Farsons recently invested in a yeast thermolysing plant which destroys yeast vitality yet providing a saleable, sterile food which is sold as a concentrate for boosting animal fodder protein and vitamin levels, thus supporting locally reared animal husbandry. In 2015 Farsons continued to invest in its distribution fleet, being among the first local companies to introduce ten new EURO VI trucks to add to its modern Euro IV and V fleet. Operating from a highly automated and temperature controlled logistics centre, both the fleet’s planning of routes and fuel consumption are closely monitored to maximise efficiency and minimise emissions. Tests on the use of the environmentally friendly LPG fuel on some of its trucks are also underway which would significantly reduce emissions further.